Home Reflexology Reflexology Massage – What It Can Do To Your Body? Reflexology massage is a form of therapy that focuses on using the feet, as well as the hands, to heal other parts of the body. It works with the premise that certain nerve endings are located in the feet and hands that are connected to vital organs and glands, which, when pressure is applied to these endings, serve as therapy and treatment. Reflexology massage dates back to ancient Oriental times. A map of the feet shows where certain pressure points are. It is a Chinese method of treatment that teaches that the body has several lines, just like a globe, where energy flows through. When one is experiencing pain or disorders, these energy lines are blocked, and reflexology is their approach to unblocking these areas. It is believed that reflexology massage can promote health through its non-invasive form of treatment and therapy. During the reflexology massage session, the pressure applied to these points usually makes most people feel relaxed, while soreness or pain may indicate trouble spots. However, over the course of the session, the pain normally decreases. No equipment or special tools are needed to heal with reflexology massage. This method of treatment is non-invasive and completely safe for anyone. However, if you are pregnant or have blood clots, you may want to consult with a doctor first before proceeding with reflexology. It has been used since ancient times and is recognized as one of the most effective ways to heal. Reflexology massage gives the client an overall soothing and relaxing feeling. You don’t need to take pills or other forms of treatment to cure your disease. Although it is not a cure-all for disease, it helps in telling you what your problem areas are so you can take future precaution in taking better care of yourself. If you experience pain during the session, you should communicate this to your therapist. Although it’s not a substitute for medical treatment, it can provide relief for pain but may also point out serious health problems, so your therapist can provide a suggestion for the next steps you should take. Reflexology massage approaches health holistically, and even if you don’t have any pains or problems, it is always good to make you feel relaxed and soothed. 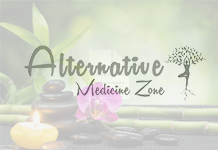 Next articleWhat Is Mind-Body Medicine? How To Restore Body And Mind Balance With Reflexology?